The Parrys left England to practice their Quaker religion without ridicule. They found their home in New Hope, Pennsylvania, where they went on to become one of the region's most illustrious families. The family derived much of its strength from Benjamin Parry, a multifaceted entrepreneur, inventor, and community leader who dominated New Hope for more than half a century. His efforts make the town the industrial capital of Bucks County in the early nineteenth century. The story continues with Benjamin's son, Oliver, who becomes an intrepid pioneer of Philadelphia's Spring Garden District when the city was expanding its boundaries westward in the mid-nineteenth century. Gain a unique perspective of the nation's first one hundred years as it struggles to form a more perfect union by examining the hard work of just one family whose shared sense of destiny helped the nation achieve its potential. 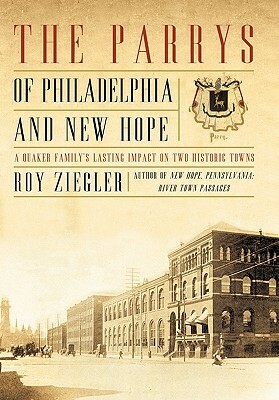 Be inspired by The Parrys of Philadelphia and New Hope.